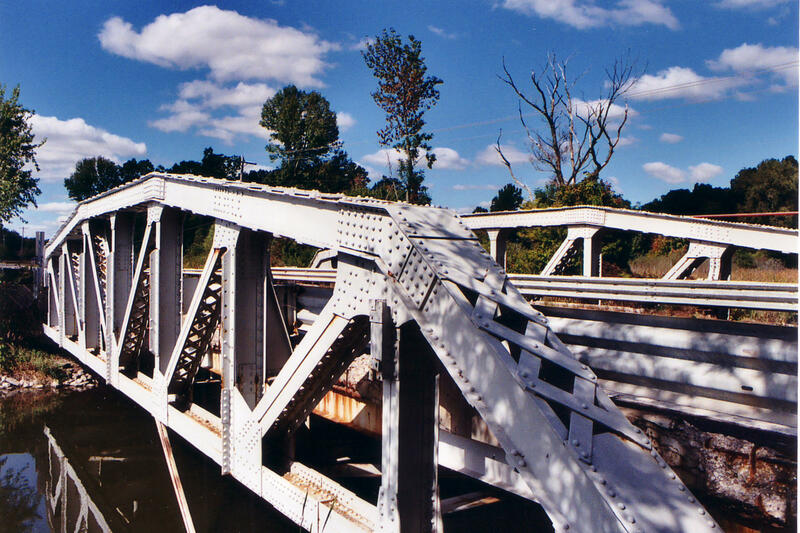 An exploration of truss bridges remaining in Michigan in 2006. NO LONGER UPDATED! This table is an interactive living document that is designed to reflect the remaining truss bridges in Michigan. 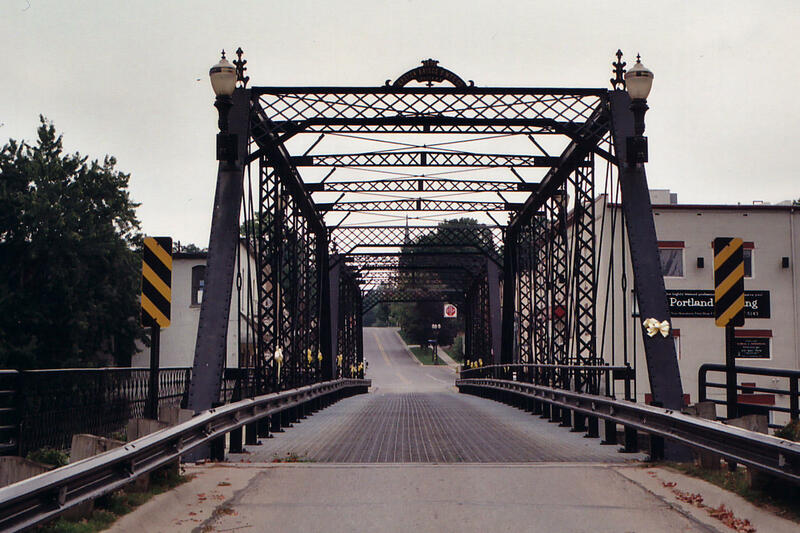 If you are interested in viewing the original and complete 1995 Michigan Historic Bridge Inventory, please click here. 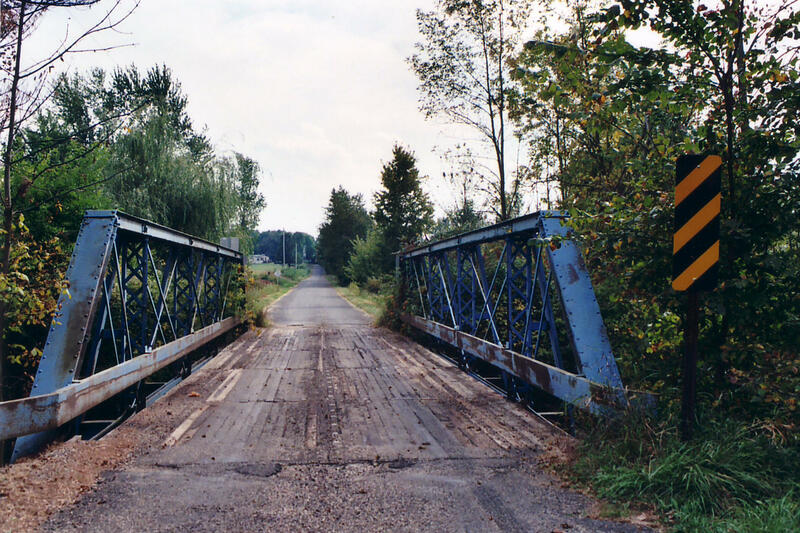 This page also offers an old 1978 inventory of noteworthy old bridges in Michigan. 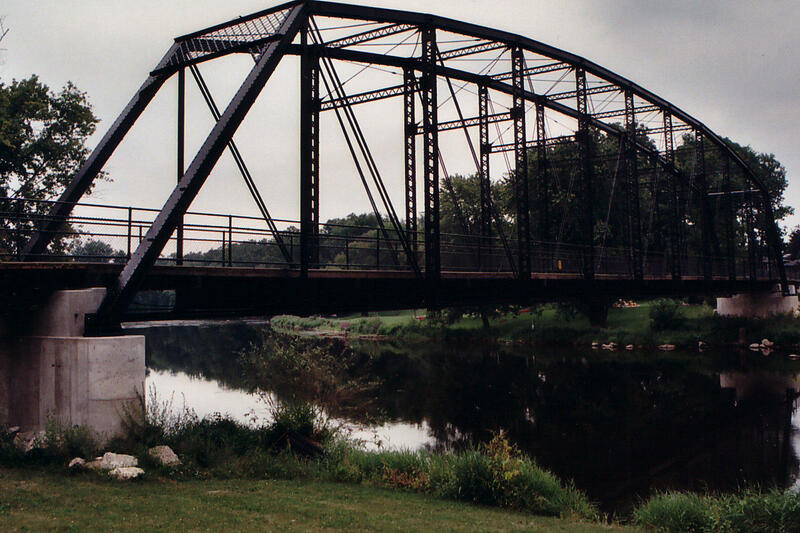 In 1995, Michigan conducted a survey of potentially historic bridges, which included a vast number of bridges built before 1956, of all structure types. The bridges were surveyed, and the final list was then narrowed down to include bridges that had been determined to have a certain amount of significance. This does not mean that all bridges in the inventory are listed as historic, or are listed in the National Register of Historic Places, it simply means that they have enough significance to perhaps warrant further investigation. I personally consider all of these bridges historic however! The copy of the inventory I have lists the bridges that were included in the final list, as well as bridges which were excluded from the list due to lack of significance or poor historic integrity. 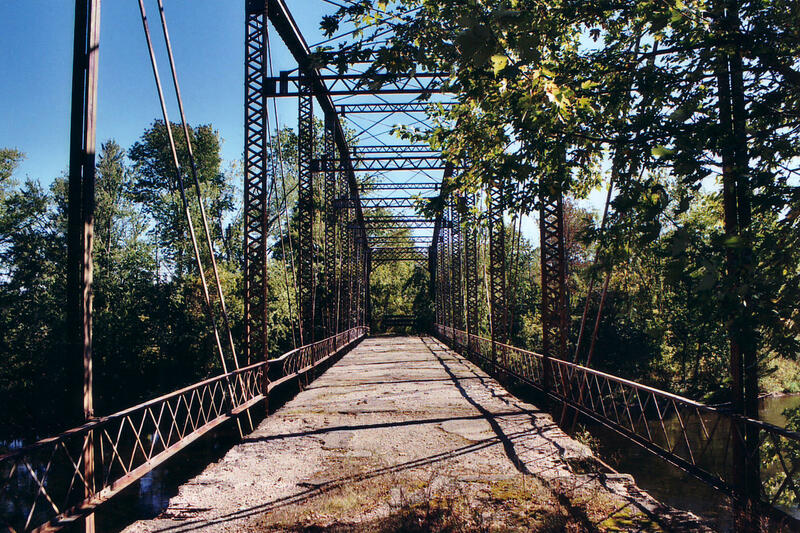 In the 1995 inventory, a desire to learn more about the remaining truss bridges in the state was shown. 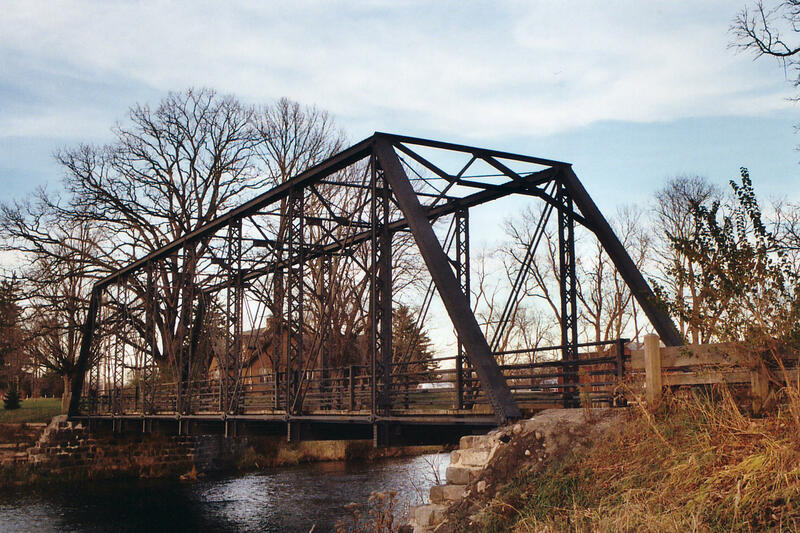 As a result, all truss bridges that retained integrity and were not surveyed in Michigan's initial historic bridge survey, were included in the list. This means that this list should be a complete lists of all truss bridges in Michigan, with a couple exceptions. First, those without "integrity" might not be here... this does not seem to occur often. Second, truss bridges for which even the local county road commission does not have info for may not be here, like Richman Road Bridge. I have included all truss bridges from MDOT's website, which seem to include the truss bridges from that initial historic bridge survey, to try to make it as complete of a list as possible. 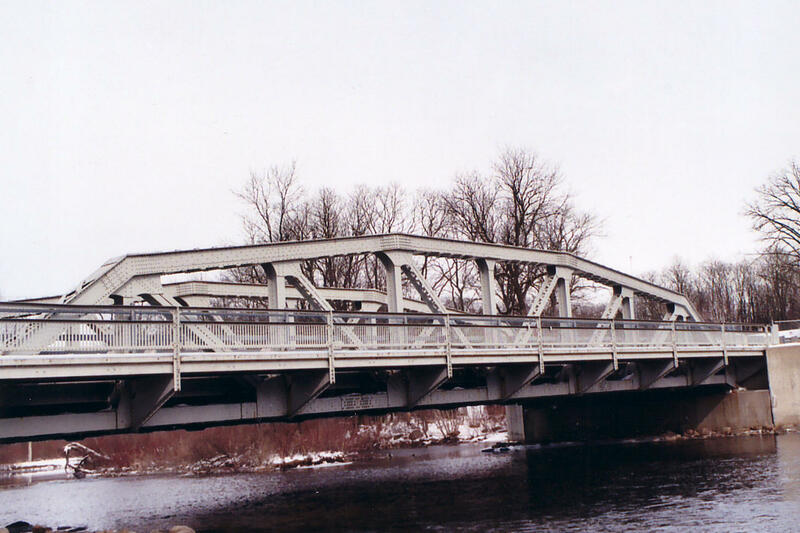 I have cross-checked this list with a few road commissions, and have found this to be a nearly complete list of all truss bridges in Michigan. Note that 1900 was described as the default date, meaning that if the date was uncertain (usually with the older bridges) they just put 1900 down. With all that said, the purpose of including this list on my site is to allow people to explore bridges that I have not yet visited. Be warned that this is an aging inventory, and is a decade old. A new inventory is being made this summer by MDOT, and I hope to get a copy of it also. I am sure the population drop for truss bridges will be staggering, and will be an interesting comparison to this page. 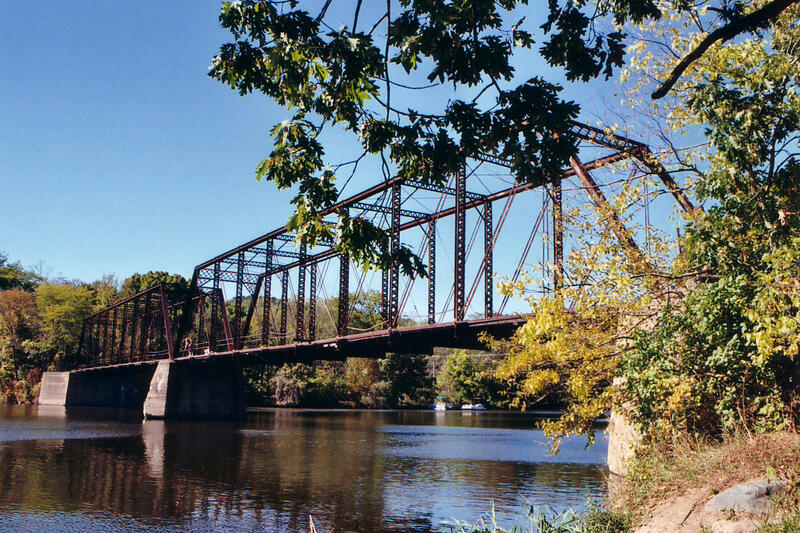 Many of the truss bridges listed here may be demolished. I have put the "X" icon next to bridges that have been reported as demolished. I have put an arrow icon next to bridges that I know have moved. Links to visitor submitted photos, MDOT's Bridge Page, or my page for the bridge will be provided if they exist in the Comments / Photos / Links section. As reported by the Allegan County Road Commission. One of these was gone with no replacement the other was replaced with a slab of concrete. Replaced by repulsive slab of concrete. The only thing worth visiting in this area is the McDonalds a few miles east of here! 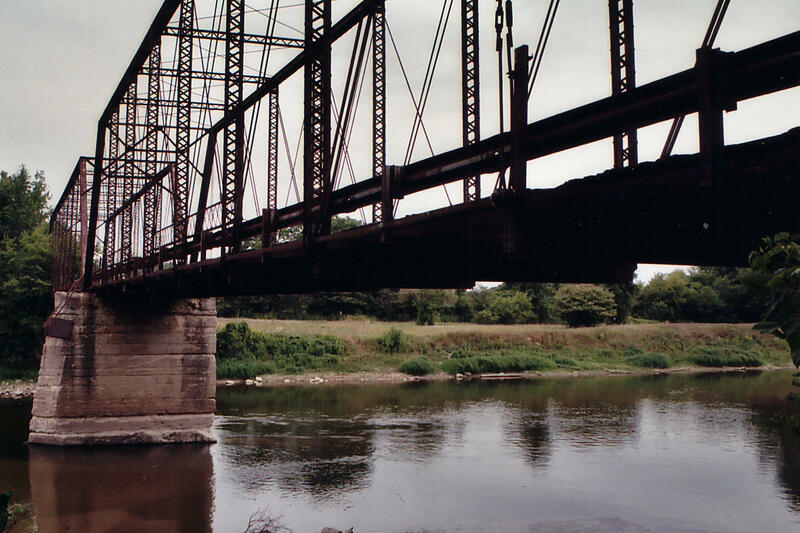 According to the road commission, replaced with pre-stressed concrete box beam bridge in 2003. Welcome to the Truss-less County List, Alpena County! McKeowen Road Bridge. Rick McOmber visited, and took this photo. Reported open to traffic at 4 tons by Benzie County Road Commission. Stancer Road Bridge; Rick McOmber visited, and took this photo. 21 Mile Road Bridge; Rick McOmber visited, and took this photo. 22 1/2 Mile Road Bridge. Rick McOmber visited, and took this photo. Iron Bridge Road Bridge; This has been restored, according to this photo from the road commission! Reportedly standing and closed to traffic. Lowell Road Bridge Rick McOmber visited, and took this photo. As reported by Gratiot County Road Commission. Sterling Road Bridge Rick McOmber visited, and took this photo. Portland Bridge. Rick McOmber visited, and took this photo. Replaced by a grotesque slab. 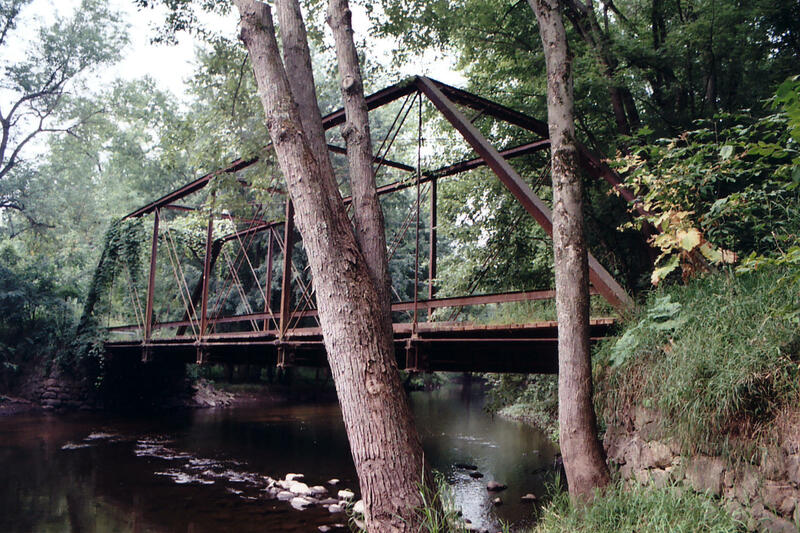 Goodwin Road Bridge. Rick McOmber visited, and took this photo. Kent Street Bridge. Rick McOmber visited, and took this photo. Turner Road Bridge. Rick McOmber visited, and took this photo. Listed as a continuous structure rather than simple. 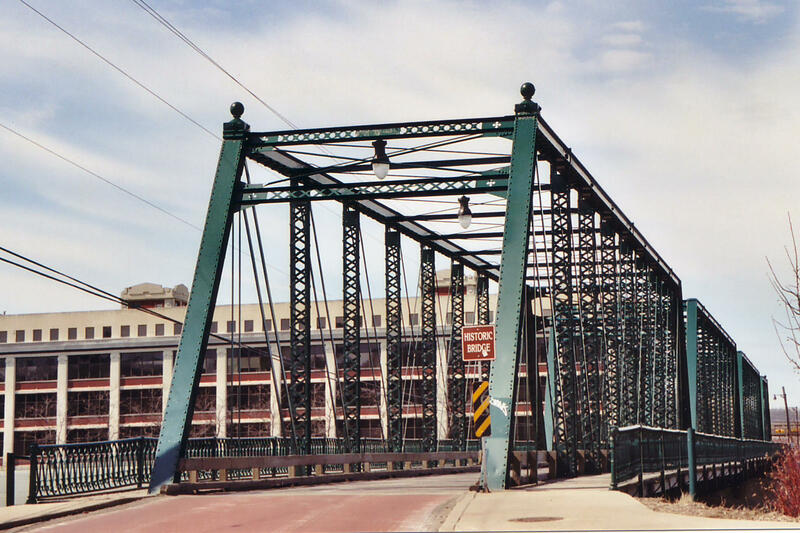 Van Buren Street Bridge; Rick McOmber visited, and took this photo. Sixth Street Bridge. Rick McOmber visited, and took this photo. 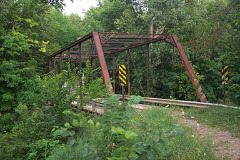 Kent County Road Commission reports this bridge was replaced in 1998. Replaced by a gut-wrenching piece of cement. I drove a few feet down this road, and saw what ugliness lie ahead and turned around... fast. Check out a private truss near here that isn't gone. 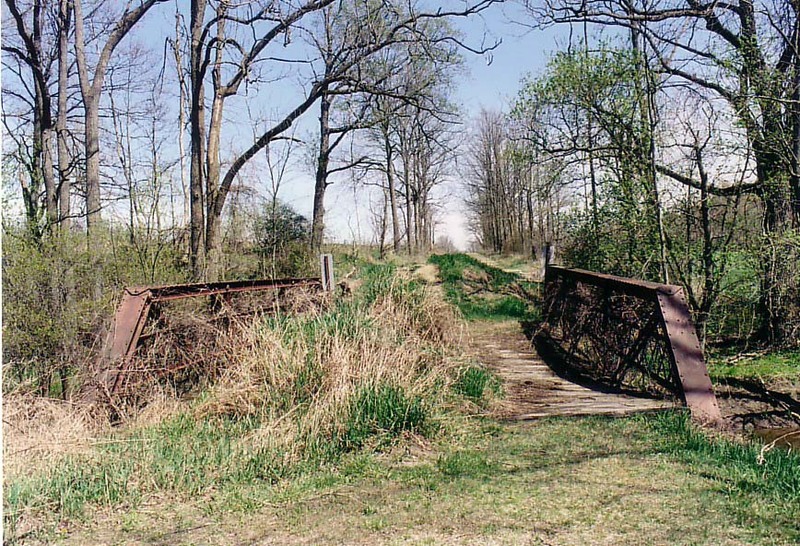 Cole Road Bridge; Rick McOmber visited April 25, 2005, and took this photo. 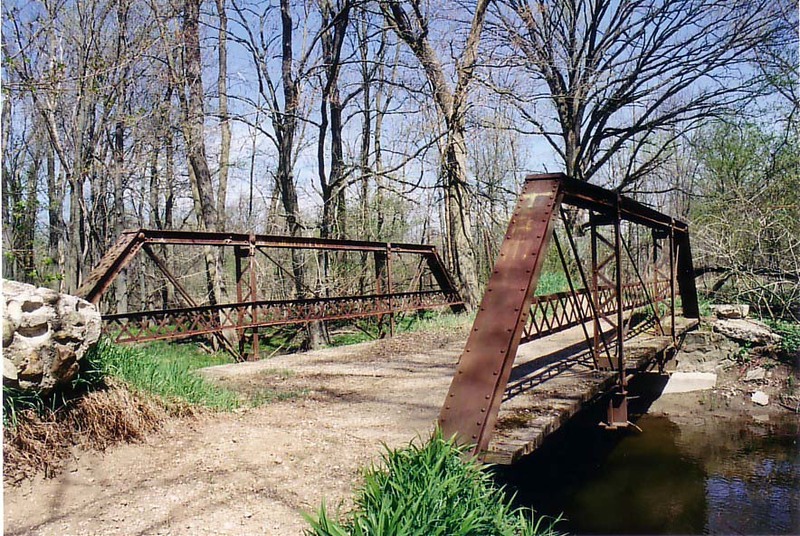 Raymond Road Bridge; Rick McOmber visited April 25, 2005, and took this photo. Nearly all the bridges in Mason County had a 1900 construction date...1900 is the default date... a date given when the date is uncertain. Guess they lost all their records, or never kept them. Reported still extant by the road commission. 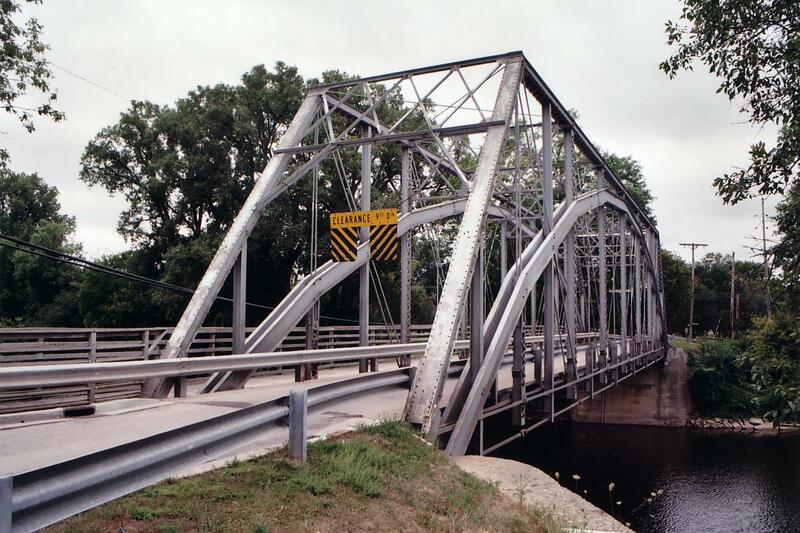 Mason County Road Commission says that a new truss bridge was built in its place, and is the first such example in Michigan. 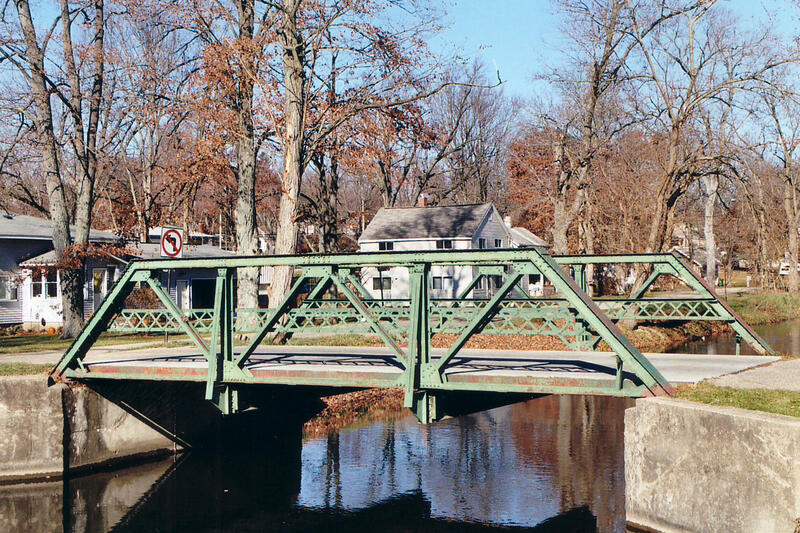 While new truss bridges are a great slab alternative, they do not excuse demolition of historic bridges. Reported by the Mecosta County Road Commission as open to traffic. 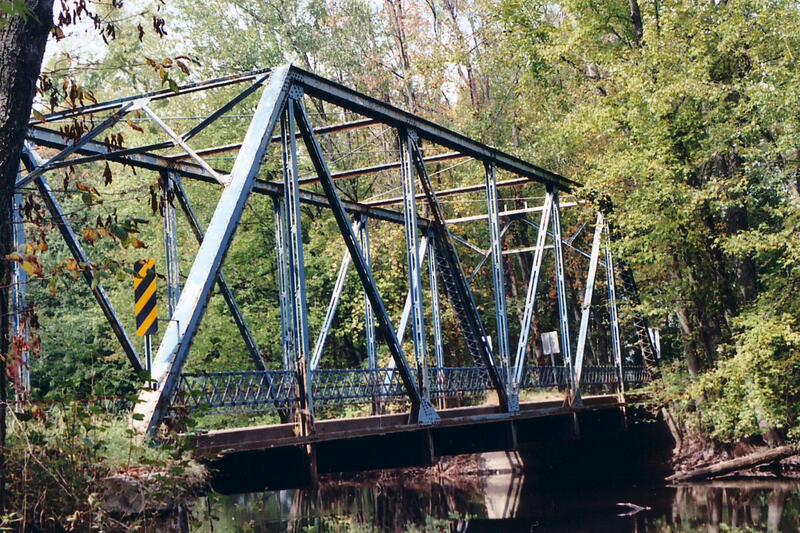 This is an unusually late date for a through truss in Michigan. Too bad I will never get a chance to see what it looked like. Not sure which one is which or where the second one might be. I doubt it remains either, so I through an X on it. Currie Parkway Bridge; Rick McOmber visited, and took this photo. A waste of precious $2.30+ gas coming out here! 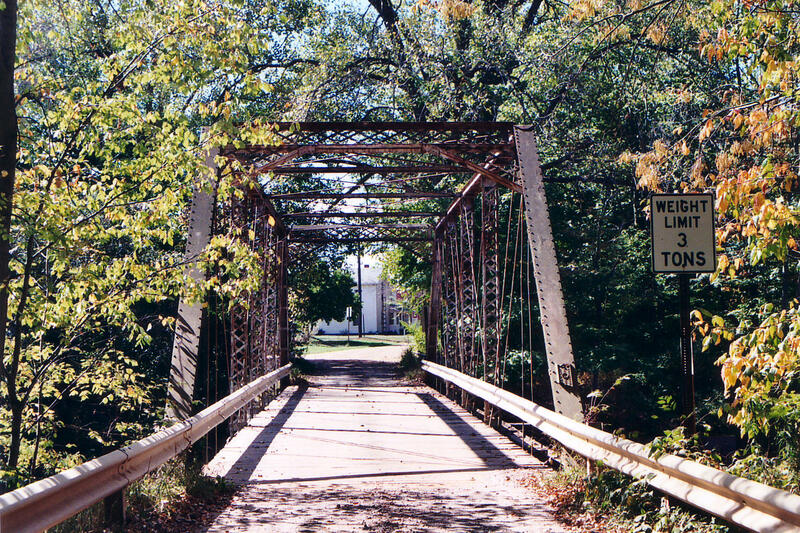 Smiths Crossing Bridge. Rick McOmber visited, and took this photo. Abandoned and collapsed long ago. Road commission reports this bridge is open to traffic on a seasonal road, and is closed in the winter. Road commission reports this bridge is open to traffic with a new timber deck! I failed to find this bridge, but I am not 100% sure I was at the right spot. Oceana County Road Commission reports this is open to traffic! Bridge type was not listed in the inventory; may not even be a truss. As reported by Saginaw County Road Commission. Saginaw County Road Commission reported a bridge at this location was moved onto Zehnder Farm. Not sure where. Long lost... never replaced with new slab. Replaced by a revolting hunk of cement. Steve Schmidt provided this small photo. Demolished and replaced with an incomprehensibly grotesque slab. Replaced by a nondescript slab. Replaced by an abhorrent slab of concrete. Replaced by a slab of wood, as St. Joseph County frequently does. As reported by St. Joseph County Road Commission. M-86 Bridge. Rick McOmber visited, and took this photo. Not reported as extant by Tuscola County Road Commission. Road commission reports that this was replaced in 1994. Wallace Road Bridge ; Not in the inventory, I discovered this one. Belleville Road Bridge; Rick McOmber visited, and took this photo. I think the abbreviation may be for Detroit Edison Conveyor. Just a guess though. A few bridges on MDOT's Historic Bridge Website have neither a photo or a description. Some of them looked like they might be truss bridges based on date and location, etc. But without a photo, I have no idea what sort of a bridge they may be. Some of the bridges here might be truss bridges. If you are in the area, I encourage you to visit these bridges and report your findings. www.michigan.gov\mdot\0,1607,7-151-9620_11154_11188-26415--,00.html: Whatever this was, its gone now.